In July 1957 Blue Note recording engineer Rudy Van Gelder first began experimenting with two-track recording. For the next year a few selected sessions were recorded simultaneously on both single track and two track tape recorders, the remainder solely on one track. By late 1958, almost all sessions were routinely recorded to two track. By the end of that year, simultaneous one track recording was discontinued, judged superfluous, as a mono master could be created by “folding down” the two tracks. (The existence of a simultaneous back-up “safety recording”, routine practice in large studios, has been rumoured but seems not to have been commonly part of Van Gelder’s workflow). 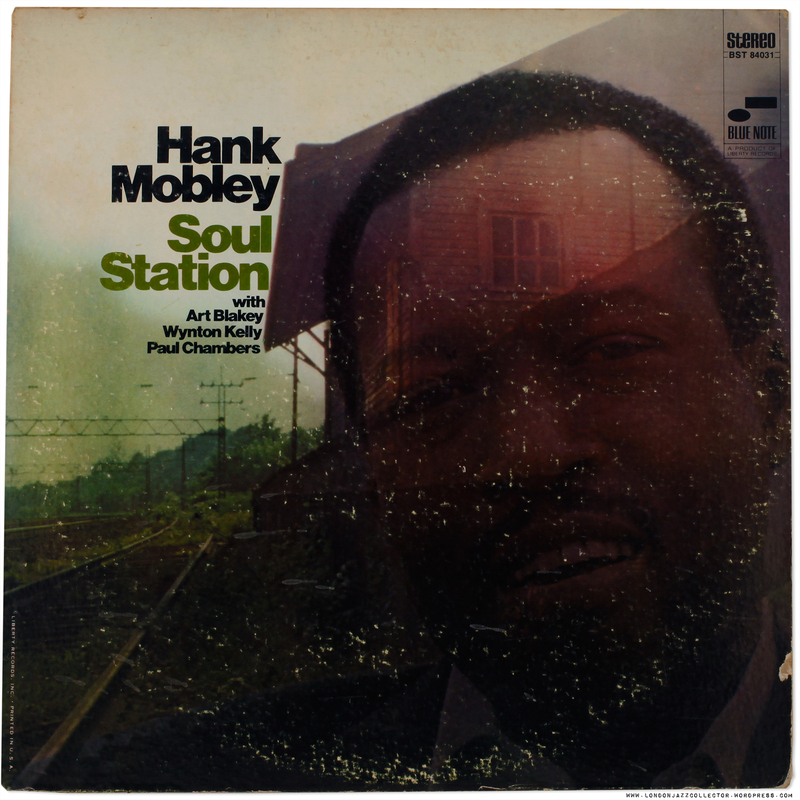 As a result, of the 340-odd titles in the Blue Note 1500 and 4000 series up to 4250, around ninety recordings were released only in mono, around 250 went on to have both a mono and a true stereo release (based on a two-track recording mix), and a handful were released in stereo only, a practice that became standard during the Liberty years. However there were thirty five solely mono recordings from the 1500 series that were electronically reprocessed, to create a “pseudo stereo” official release. Whilst the jackets clearly state they are “electronically re-recorded to simulate stereo” or similar words, sellers will often fail to draw attention to this. From a collectors perspective, it is important to be aware of and avoid pseudo-stereo Blue Note releases: many are a deeply inferior listening experience by Blue Note standards. Any release with an “8” prefix (stereo) early in the 1500 series should set alarm bells ringing. These were recorded only in mono. The initial purpose of two track recording was to allow the engineer more control in preparing the final mono mix, and was not intended for stereo. There are a small number of genuine “true stereo” releases towards the end of the 1500 series, recorded to two-track and mastered in both mono and stereo by Van Gelder. However early two track recordings issued as “Stereo” often exhibit hard panning of instruments left, right or centre -the only options on some early mixing desks. They are not comparable with modern wrap-around soundstage stereo recordings, and the mono edition is often to be preferred. Van Gelder was a late-adopter of stereo and it was not really until around 1962, start of the New York label (BNST 4069 and higher) that Blue Note stereo mixes came of age. To complicate matters for the collector, there are some later Blue Note reissues from the Liberty era, 1966-70, a time when records were released solely in stereo, are fake stereo. A stereo tape is known to have existed, but for whatever reason, the two-track tape was lost, or unavailable at the time, and was not used, and the stereo mix is fashioned electronically from the mono tape mix. Also, some records labelled stereo are in fact a straight mono mix, the word “stereo” merely added to the cover and labels at the behest of the Sales department. 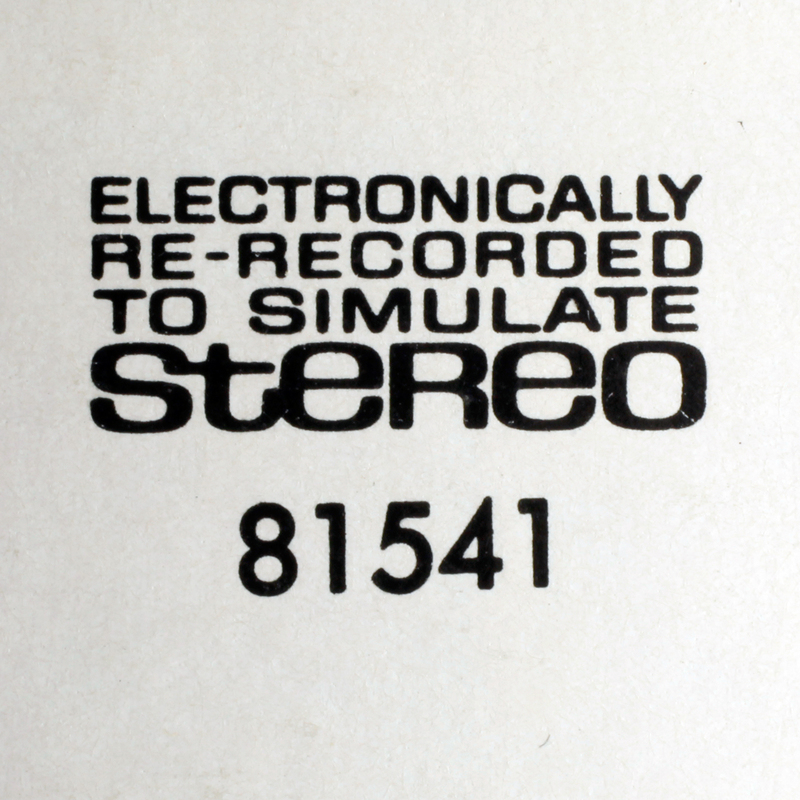 “Electronically re-recorded to simulate stereo”. A special case is a dozen or more Blue Note titles which were issued only in mono, received no stereo release prior to 1966, but for whom a two track Van Gelder tape source existed. The first stereo release was often by Liberty, or later, by United Artists or King, Japan in the ’70s. Van Gelder had never created a stereo master from these recordings, so these first stereo editions were mastered from the Van Gelder two-track tape by house engineers. These stereo titles are commonly described on their jacket as “Electronically re-recorded to simulate stereo”. That warning, which is the death-knell of electronic trickery applied to mono recording, means simply a first mastering in stereo from original two-track tape. They sound perfectly normal, somewhat hard panning like other early stereo, but are not “pseudo stereo” as suggested. A good few early 4000 series come into this category. The following reference table, taken from the Cuscuna/Ruppli Blue Note Discography, identifies which titles in the Blue Note catalogue exist in mono only, mono and fake stereo, mono and genuine stereo, and in a few cases, in stereo only. Only those titles indicated with an “s” were issued in genuine stereo. I’m assuming this means it is mono, but I don’t know. How often was this notation used to describe the recording? And what, exactly, does it mean? Yes, it’s mono (the label should have “microgroove” along the top, not “STEREO”). I don’t have and exact range but the “No Stereo” designation was only used for a short time at the beginning of the Liberty years. What’s odd is that it’s typically found on titles where no stereo tape exists but there actually is a stereo tape for The Cooker. like Aaron has stated I have only seen the ‘no stereo’ on early liberty pressings where no stereo tape exists. I have both volumes of the eminent JJ Johnson with that designation. One has liberty labels and the other is mixed (liberty and NY label). I have a 1970 reissue of the cooker (black label with blue on the side) and it is true stereo. Does anyone know which is the first stereo pressing of the cooker? LJC, I’m not sure there is a van gelder mastered stereo version of the cooker ? ? ? Another interesting example of RVG transitioning, from mono to stereo. According to our friend DGmono, Rudy started experimenting with two-track tape in July 1957. The Cooker (BN 1578) was recorded soon after, September 29, 1957, during which time Rudy was recording to one-track and a two-track simultaneously, prior to adopting the fold-down solution. It is entirely possible that he never made a stereo master, though a two-track tape will have existed. I have the King Records edition, which is stereo. Liberty and later UA/King seized the two-track tape, to issue as stereo a recording intended for a mono mix. When I listen to stereo records from this transitional period, I switch the phono-amp to mono, sounds much better. was issued years after the initial mono release. For the stereo master of a night in Tunisia on this album and on The best of Lee Morgan, the wrong out theme insert ending was edited onto the master take. It has been corrected for this release. Stereo mix on The Cooker is very primitive with different instruments hard panned left & right. I found it a bit distracting to listen to so got a mono Classic Records pressing instead which sounds just great. doubling maybe from a zoot simms/jutta hipps comment but probably more relevant here. or “mono sound” pressed on stereo grooves? am i clear enough? Hi, do I understand it correctly to stay away from mono albums? Why exactly is that? Sorry, but i am new at this and trying to find out what to purchase and what not. I had my eyes set on BLP 4117 Jimmy Smith Back at the Chicken Shack, mono first pressing. Emphatically no, LJC is not against mono, to the contrary, especially for recordings made before 1961/2, mono is the preferred choice. The problem becomes one of preference after stereo had come of age at Blue Note. After that you have to choose between the two formats, both of which offer a different but very acceptable presentation. There is not a “right” choice. It is entirely down to your preference, only you can decide that. You need to take the plunge, dive in, see how these things grab you. A good starting point is finding a mono and stereo copy of the same title, see which you enjoy more, which gives you more insight into the music. Then you are on a roll. I’ve got the Lou Donaldson Lou Takes Off 81591. The Kenny Burrell Blue Lights Vol 1 & 2 81596/7. All of these have the Electronically Re-Recorded To Simulate Stereo on the back cover top right. None of these have the ps in the list provided. I’m assuming these are poor versions to own? Ed……Many thanks for replying. I do find this all very confusing. Hard to know which ones are ‘real’ stereo in advance of purchasing them. How does your Blue Lights sound? I’m happy with the way it sounds. It is typical of van gelders early stereo with ‘hard panning ‘. Many blue note reissues are mislabeled and are actually real stereo, I have several. That’s interesting Ed…..the hard panning on the Lou Donaldson is what made automatically made me think it was pseudo stereo. I’m not really sure how to know for sure? I’m not Ed but it’s pretty obvious once you hear it. Fake stereo either has the highs shifted to one side & the lows shifted to the other or has the mono signal split in two with a slight delay put on one and then panned left & right. Please see most recent post tonight, on BN 4063, Kenny Dorham “Whistle Stop” with samples. Because there was no RVG stereo master, just a two track tape, record companies described their stereo reissue as “electronically re-recorded to simulate stereo” It is a simple two track tape mastered as stereo instead of a fold down as RVG intended. There is no electronic monkeying, just hard panning, but it is not “pseudo stereo”. The Lou takes off was recorded in true stereo and should be changes on the list above accordingly. If I understand the Ruppli/Cuscuna source correctly, the table is intended to list what formats were released during the Blue Note period up to 1966. BLP 1591 was one of a number of recordings released by Blue Note only in mono. Most if not all these late 1500 series were recorded to two track, but not all were issued in stereo at the time. The first stereo release came later on, by Liberty, hence it’s listed as only “m”. It is not intended to mean it was recorded to one track. Hopefully that’s clear, but happy to be corrected. Hi there I have 84038 Capuchin Swing that says “electronically re-recorded to simulate stereo'”..sounds horrendous lol..not included on your list?! With nearly 30 McLean titles in my collection, 4038 is actually one I don’t have in any form. It was released at the time only in mono (November 1960), though certainly recorded on two-track (April 17, 1960) , and therefore a candidate for a stereo edition. Liberty was the first to release it in stereo. Both King and Toshiba brought out stereo editions in the ’80s, so we know two-track existed, and there was no reason for Liberty and UA to “fake” stereo out of a mono recording. The table distinguishes “fake stereo” (ps, pseudo stereo) re-mastered from a mono recording, and “true stereo” (s), mastered from a two track recording. Looks like Van Gelder didn’t cut a stereo master, so Liberty had no legacy metal, and mastered it themselves in stereo for the first time, from a two track tape. These stereos were derived from a two track recording destined for a mono fold down, and will often exhibit hard panning and an unnatural sound-stage, but they are “stereo” not electronically reprocessed mono to simulate stereo. I expect the claim on the back cover doesn’t describe how it was actually prepared. However, as with all these things, anything’s possible. I have the same pressing, just played it this morning – typical early RVG stereo, not the best mix but definitely not fake stereo. I just got this today. On the chart above it says This date exists in true stereo but the sleeve has the “electronically re-recorded…” label on the back. It is a liberty record from 1968 (year is etched in the runout). Is this record a true stereo despite the “re/recorded” label on the back? How do you tell from listening- I have some bona fide BN stereos w very hard panning but this is the first “electronic” stereo I’ve ever bought. Also it is an alternate cover from the well-known mono original. This must be the ugliest blue note cover of all time! Thanks in advance for any help and sorry if I’m kicking a dead thread…. Do you mean this alternative Liberty cover? The liner notes on my copy make no reference to electronic reprocessing. It’s stereo, a lousy job as it’s not VAN GELDER metal, Liberty remastered it for themselves. I assume they couldn’t find the original metal, like they couldn’t find the original artwork, but decided to go ahead anyway. Nothing good to be said about it and the artwork is shockingly bad composite execution. It smacks of Liberty after the Transamerica takeover in 1968: milk the catalogue, cut production costs, focus on the money, nobody’s going to notice quality anyway. Well, not for another 50 years. The language “reprocessing for stereo” can be a misnomer. Sometimes its a straight two track tape mastered for stereo, sometimes its virtually mono apart from a few high and low frequencies filtered off and positioned left or right, other times its a mono recording that the engineer has monkeyed with to simulate stereo, using reverb and delay lines asymmetrically to make the two channels sound different. The best is when they simply lie on the cover – say its stereo and it’s plain untouched original mono. The gold standard is to rip a track in Audacity software and watch the waveforms on each channel. In mono, they are identical. In stereo, they ain’t. Yes it’s this one. A real gem! Just kidding. Yes mine has the reprocessed sign that you posted in the article. on the back top right corner. It’s definitely stereo but the bass is on the right. I don’t hear any weird reverb effects but my copy isn’t clean at all it’s not a great listen on any level! no RVG on mine either. At the least the cover is good for a face-palm laugh. But I guess technically this is the stereo first pressing!! I have a 70s Liberty Pressing of Bud Powell’s “Time Waits” that is “electronically re-recorded” to simulate stereo” according to the back of the jacket. This one is not on your list. I am usually careful to not buy fake stereo LPs but I slipped on this one. D, are you sure the record itself is fake stereo, no matter what the sleeve says? A stereo master tape was available, so why should anyone have put any effort into fake stereo? I really have no idea, but I guess your record should be either mono or real stereo, with the drums right, bass left, and piano in the centre. Could you perhaps listen through headphones to make sure? That is a good point. I was playing the record recently and my answer is – I’m not sure. I panned the balance knob on my integrated amp back and forth while listen to try to figure it out. The piano is in both channels, and I can’t hear the cymbals very lightly in the right channel. The bass is definitely in the left channel, which is where the bass drum seems to be as well. Listening through a headphone should provide a definite answer. Just try the title track, where the position of the bass is unmistakable from the start. But I’m not saying that a fake stereo version doesn’t exist. I have a Japanese 45 RPM maxi single of “Alison’s Uncle” (aka “Bangoon”, now a bonus track on “Somethin’ Else”), with the album version of “Autumn Leaves” on the flip side. For reasons unknown, the latter is in fake stereo while the former is in stereo. The bit about electronically re-recorded/reprocessed for stereo is on the back of the jacket at the top right hand corner. in good sound. Many thanks for sharing your knowledge and analyses. Up until July 1962 the stereo was released some time after the mono, so you have the argument that the original first pressing is the mono. Reissues and recent digital editions are most often only stereo, meaning early vinyl is often a unique mono source, making the mono edition more sought after. I guess there is a form of purism among collectors that mono is the “authentic Blue Note sound”, whether fold down or dedicated mix. Perhaps mono is more “retro”. Seems to be how the rock and pop collectors think. A lot of RVG stereo in the early ’60s, I still consider shonky, with eccentric instrument positioning which is a distraction from the music, though I keep being told some people like it. I figure it wasn’t until around ’64 RVG began to think in stereo. That is a personal thing and not market sentiment, which is what determines price. It does appear that mono in near mint condition is the most collectable artefact – the “investment grade” copy. I just picked up what I thought was a stereo copy of BN 4011. Jimmy Smith’s The Sermon. First side has a stereo label while the second side has a mono label. Sleeve has stereo sticker.Mono label lists the two tracks from the second side in the wrong order. Side one sounds like stereo. Side two sounds like mono on one track and stereo on the other. This was pressed right around the time BN was starting to print both. Any idea what this is? I read the mongrel article, but it states that mongrels were always mono. Thank you. From the number of times I have seen this title I would guess it sold in large quantity compared with other Blue Notes, they probably ordered extra pressing runs, and print runs, cannibalised mono labels from stock to eke out the first stereo label print run, mistakes were made, a complete clusterf**k. Doesn’t really surprise me, but interesting nevertheless. Some photos would be helpful, labels and cover, for comparison with other copies. That may tell us more of the story. What do the matrix numbers in the deadwax on each side start with, BNST (stereo) or BNLP (mono)? “4001: Sonny Rollins, Newk’s Time (1957) m s” I have a Japanese copy of this that is fake stereo, pulls hard to the left just as you describe. Is it a new ball of wax when evaluating Japanese King Blue Notes? King Records are usually rock-solid straight-engineered, I’ve never come across a fake stereo, they are generally faithful to the original, you may have something unusual. My guess is the awkward, unconventional panning Van Gelder used on that record (bass all by itself on the right) might make it sound like fake stereo even though it isn’t…?